:This booklet provides the format for telling others about salvation and the Christian life. Topics include putting Christ first in your life, relying on the Lord's strength, the importance of the Bible, and love. Originally sold as a 10-pack (9781600061707), this is sold as a single copy. 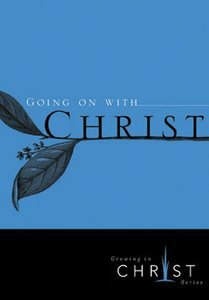 About "Going on With Christ"